So, I think I've mentioned before that I follow Miley Cyrus on Instagram. I'm kind of embarrassed, but it is a train wreck of an account. I cannot look away. Lately, Miley has been photoshopping herself into all sorts of things, so of course, I thought she was a perfect candidate for this. In thinking of what kind of images I should use for Miley, I tried to think of what is least like her right now. Somehow that seemed like Toddlers and Tiaras. However, now that I'm looking at these images, I'm not sure it's such a stretch. I could see a universe in which she'd actually wear some of these costumes - either ironically or in total seriousness. The above image is something really special. This dress is intense, and a toddler actually wore it. The base image here was from a google image search of Toddlers and Tiaras. Next, I cannot believe a toddler actually also wore this costume. The funny thing is that I really can see Miley wearing this on tour...or to a fast food restaurant. I think this is supposed to be a "bad cop" costume. The above image is based on a still from Here Comes Honey Boo Boo. I don't know what Honey Boo Boo had just done, but I can only imagine what Miley has just done. 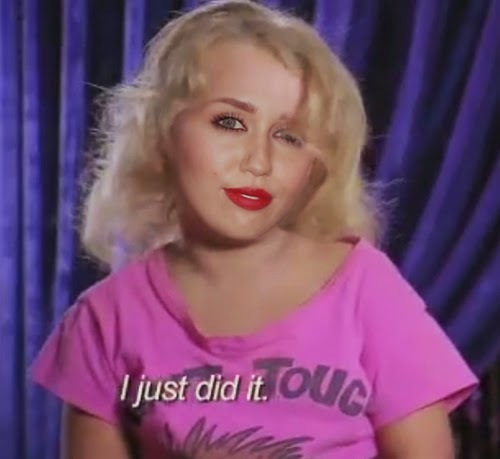 The weird thing is that Honey Boo Boo's body looks kind of normal with Miley's Face. Out of all the images I used today, I'm pretty sure the above is the one least likely to be worn by Miley. I think I got this image from a search for a Quinceanera Dress or either a Prom Dress. Either way, the original model had a really long neck. I'd like to see what Miley would say about this photoshoppery. 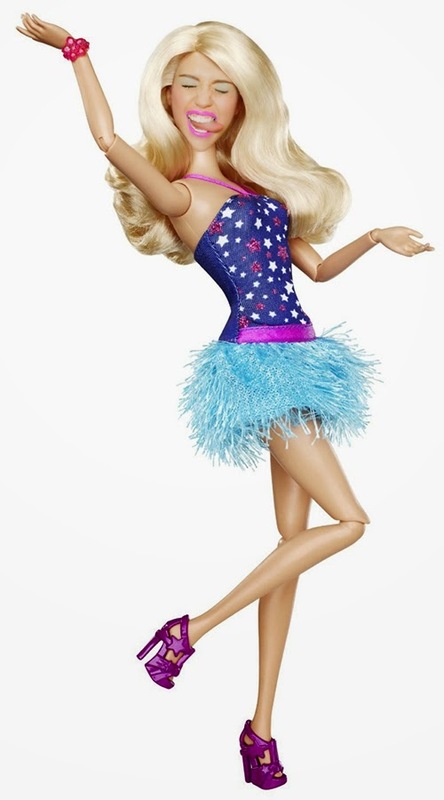 And lastly, though I know there has already been a Miley Barbie, I thought this should be the updated version. I changed her lip color to match better to the outfit. Miley could be a good Barbie, though, right? I'll leave you to ponder these all day and try to get them out of your mind. Have a happy Saturday!